Barrie Colts Prospect Report - 2018 OHL Gold Cup #OHL #OHLGoldCup - Very Barrie Colts | A website covering the Barrie Colts of the OHL. OHL officials and team management flocked to Kitchener, Ontario last weekend to see their top prospects play best-on-best hockey at the OHL Gold Cup. The event was an important test for 2002 born OHL prospects and its part of Hockey Canada’s Program of Excellence. Team Canada scouts attended the tournament to evaluate players and assist them in assembling three teams for the 2018 World Under-17 Hockey Challenge. The 2018 World Under-17 Hockey Challenge will take place in New Brunswick from November 3rd to November 10th, 2018. Last season, Ryan Suzuki from the Barrie Colts represented Team Canada at the 2017 World Under-17 Hockey Challenge. Ryan played for Team Canada Red (HIGHLIGHTS HERE) and finished tied for fifth in tournament scoring with seven points (3G, 4A). It was surprising to me that Nathan Allensen wasn’t selected for the 2017 tournament. The Barrie Colts defenceman had a strong 2017-2018 rookie campaign wearing a Colts uniform. He was probably on the bubble last season and must be on Hockey Canada’s radar to wear Team Canada colours in the future. Also, a case could have been made for Jet Greaves last year to represent Team Canada. The athletic young net-minder appears to have the inside track on a job with the Colts this upcoming season. He should get a chance to showcase his talents in the OHL soon. 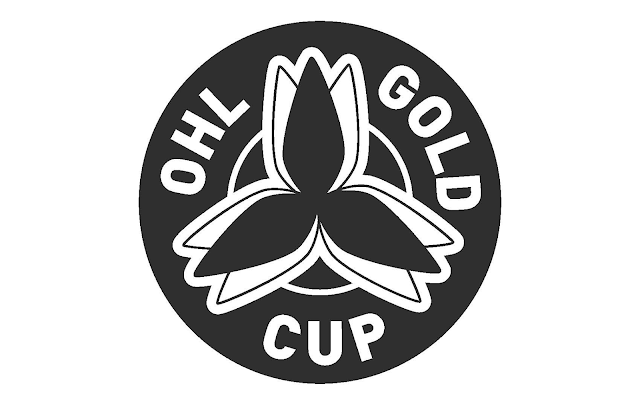 Ryan Suzuki, Nathan Allensen and Jet Greaves had great showings at the 2017 OHL Gold Cup. This season, the Barrie Colts had eight prospects in the 2018 OHL Gold Cup. Here are some thoughts on their performances. Riley generated plenty of offensive zone time by utilizing his size and speed advantage. He imposed his will on defenders and used his strength to protect the puck. He didn’t register many points (however, it appeared to me that officials missed giving him credit for one assist), but he generated tons of scoring chances off the rush and off the cycle. He has incredible top speed and can keep up with any player in the entire age group. Riley can really get moving up and down the ice, but he can also stop on a dime. He can dominate on the ice every shift. To start a period, he nailed the post on a snipe attempt off the rush and firmly knocked three guys down with clean body-checks. He can fit anywhere up and down an OHL lineup right now. Riley will make the Barrie Colts next year and play for Team Canada at the 2018 World Under-17 Hockey Challenge. Player of the game honors received after he scored two stunning goals in one game. The first goal was a backhand one-timer that went bar down. Later on, he weaved through a defender with some nice stick handling before sniping top corner from the top of the circle. Eric ended up averaging one point per game in the tournament and should be considered for a spot at the 2018 World Under-17 Hockey Challenge. He could play with the Colts next season and it appears likely that he will. However, it depends on the Colts’ plans for his development. He scored a beauty roof daddy goal – such a smooth goal scoring maneuver and excellent hands displayed on that one. His skating ability stood out all week. Tyson used that jump to hunt down the puck like a hawk and maintain possession in the offensive zone. He impressed at the tournament and will be considered by Team Canada officials to play at the 2018 World Under-17 Hockey Challenge. He could win a spot with the Colts next season and it looks like he probably will. Again, this depends on the Colts’ plans for his development. Austin won the OHL Gold Cup as Team GTHL Blue took home the gold medal. He is a very reliable defender with excellent positioning and great puck moving skills. He reminds me of Colts captain Justin Murray. The Colts are eventually going to need a replacement for Murray (who is entering his overage year in 2018-2019). Austin appears to be the prospect that might fill that gap in the Colts lineup after Murray moves on. Training on-the-job in the OHL may be the best route for development as there are depth defence spots available on the 2018 Barrie Colts. Player of the game honours after scoring in one contest. Rocco made a play were the puck came to him in tight and he kicked it up to stick and fired wicked snap shot all in one motion. The flashes of talent show his tremendous potential and hopefully he surprises at training camp. It would not shock me at all to see him push for a roster spot on the Colts this year. I’ve always liked Aidan Hughes from his time with the Mississauga Reps. Nothing has changed for me after this tournament and he is a great value pick made by Barrie management in the eighth round of the 2018 OHL Priority Selection. He is another prospect in the pipeline with tons of potential to eventually play for the Barrie Colts. Aidan could turn a lot of heads when Colts prospects are evaluated in August at training camp. Reid is a strong skater who utilizes an effortless stride to carry a ton of speed. This skating ability helps him keep up with forwards and contain them. Reid wins plenty of puck battles in his own zone and is responsible defensively. He doesn’t appear to like taking many risks in the offensive end, but he jumped in a few times and generated some decent scoring chances. He makes smart decisions on pinches and provides a good punch from the blue-line to hold pucks inside the offensive zone. I’m very interested in seeing how he looks at training camp in August. Player of the game honors received in one game. Ryan gelled with Jacob Perreault (Sarnia Sting first rounder) and their line was a consistent force in the tournament. Ryan skates well and has a good shiftiness to help him create space. He is very elusive out there and is able to make nice cuts in the centre of the ice. Ryan appears to be more suited in the role of a pivot and he is strong on draws. He got hacked bad one shift, then stepped up and won the draw in the defensive zone with a dead arm. You must appreciate it when you see that type of character. Oh yeah, one of his goals was a pure snipe – excellent power and quick release on the shot. It will be interesting to see if he can put together a strong showing at Colts camp in the summer and make the team.